Barrett is primarily known for her contribution to Screaming Eagle, where she started winemaking in 1992. The ’92 vintage as well as the ’97 both scored 100 points. Even more, the ’92 vintage set a world record for the highest price ever paid on a single bottle of wine at the 2000 Napa Valley Wine Auction. It sold for an incredible $500,000, and a vertical offering of the cult wine went for $650,000 at the auction in 2001. In 1983, at the age of 25, and right after graduation, Heidi became winemaker at Buehler Vineyards, where she took production from 6,000 to 20,000 cases. Apart from Screaming Eagle and Buehler, Heidi has worked at Revana, Kenzo Estate and Lamborn to name a few. She is also currently working with husband of 26 years and winemaker Bo Barrett of Chateau Montelena (Judgment of Paris) for a new project, La Sirena. 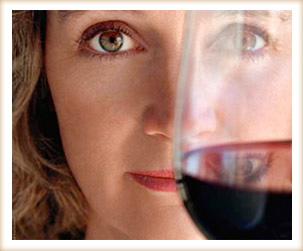 Vintage after vintage, Heidi continues to establish herself as the First Lady of Wine. And so, it is with great pleasure that Tannic will be featuring select wines from Heidi’s projects. The first, which will be featured tomorrow on Tannic, is the 2011 Au Sommet. The Cabernet Sauvignon based wine is sourced on Atlas Peak in the Western Vaca Mountain of Napa Valley. Following the Au Sommet, over the next two weeks, Tannic will be featuring Heidi’s 2011 Pharoah Moans Grenache and the 2011 Amuse Bouche. We strongly suggest for Tannic members to try one if not all of these fantastic vintages. Tannic members can also use the coupon code LADYOFWINE over the next several weeks for $10 off their Heidi Barrett order. For any questions about Heidi Barrett wines, or how WineCollective members can access them, contact us today! With extremely limited supply, we suggest you act fast!